Take on the part of a famous Mancunian, solve a murder and enjoy drinks and dinner in the stunning pre-Raphaelite galleries. Manchester – a diverse and vibrant city, home of hard working entrepreneurs, of scientific breakthrough, world-class sport, thriving creativity and the most famous music scene in the world. A city worth celebrating. And tonight, the city is being celebrated in style at a prestigious awards ceremony at the Manchester Art Gallery. It was all very civilised, except things were about to take a turn as dark and bleak as a Mancunian winter day. 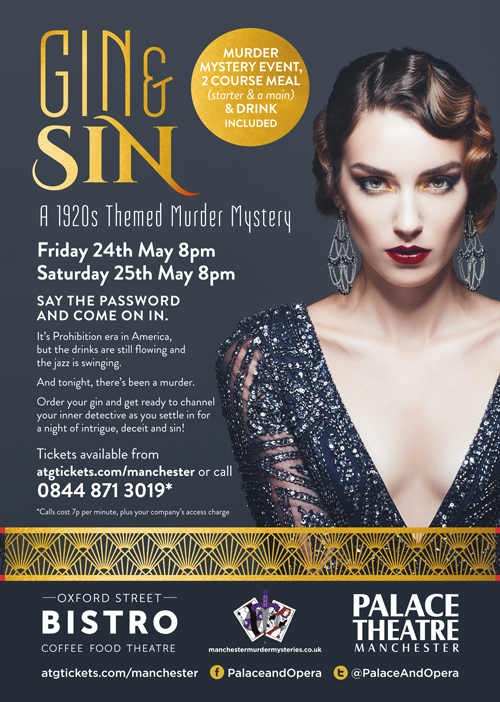 Join us this May to celebrate Manchester’s finest and to catch a killer. 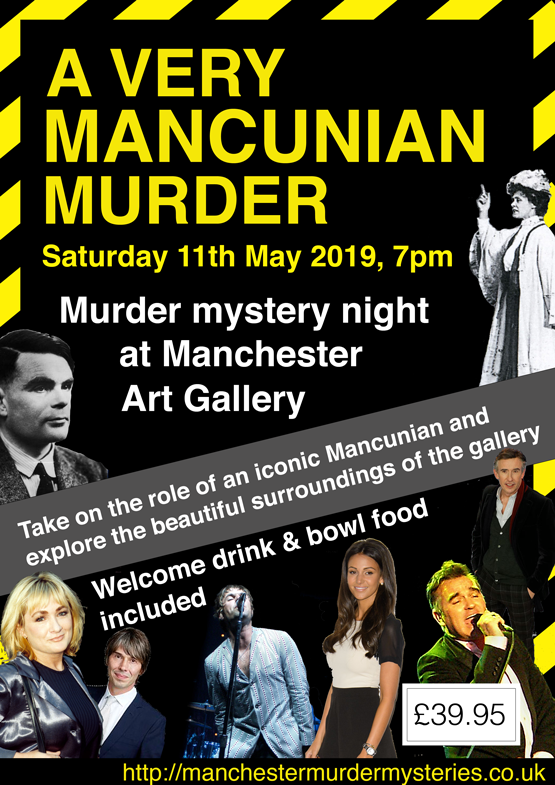 “A Very Mancunian Murder” offers the unique opportunity to experience Manchester Art Gallery like you never have before, as well as taking part in a brand new murder mystery written for the city. Ticket price includes a welcome drink and plentiful bowl food as well as the murder mystery experience.